The Room has been ranked with Plan 9 From Outer Space as a strong contender for the “best” worst movie ever made — and it’s now available in its entirety on YouTube. Written, directed, and starring Tommy Wiseau, The Room belongs in the same category as Plan 9, and Coven (which was immortalized in the 1999 documentary American Movie) as a paean to moviemaking by people who have no idea how to make a movie. The combination of passion and ineptitude is what made The Room a cult classic after its release, and what made The Disaster Artist — the James Franco film it inspired so compelling (Ed Wood, the biopic from Tim Burton about the director behind Plan 9 is also amazing). 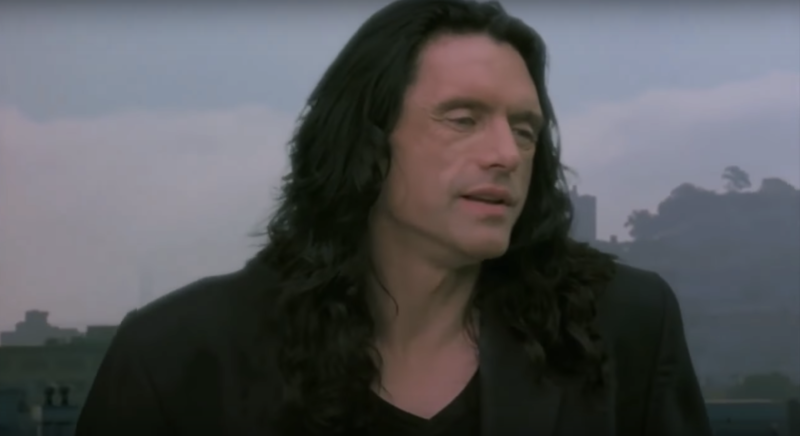 In “The Room” Wiseau plays Johnny, an investment banker caught in a bizarre love triangle with his best friend, Mark, played by Greg Sestero, and his fiancee, Lisa, played by Juliette Danielle. It was Sestero’s book on the making of the film, “The Disaster Artist”, that inspired the eponymous movie directed by Franco and starring his brother Dave and Seth Rogen. According to The Daily Dot, Sestero and Wiseau are now promoting a straight-to-digital follow-up to their feature debut — a two-part black comedy called “Best F(r)iends”. Viewers might just be better off watching the original contender for best worst movies, Plan 9, which is also available on YouTube (and below).